SourceCloud are AWS Specialist and we have been working with AWS since 2010. 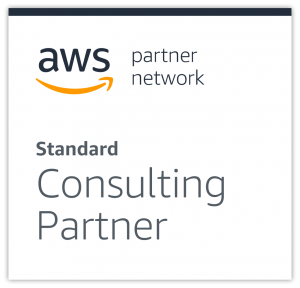 We are extremely proud to be AWS Consulting Partners. To use AWS terminology, it means that “SourceCloud are a professional services company that helps customers: Design, Architect, Build, Migrate, and Manage their systems and applications on AWS”. The AWS partnership agreement requires all Cloud Architects and Consultants to be independently tested and certified by Amazon themselves. This ensures that every SourceCloud, Cloud Architect understands the AWS platform inside-and-out. They are also required to re-sit the exam every 2 years to ensure they stay up-to-date with the latest AWS best practices. SourceCloud provide professional AWS Cloud Services, our portfolio of services complements your existing IT Department making sure the correct decisions are made based on our vast AWS experience and meticulous data-driven approach, we help your organisation gain competitive advantage using the best products and services AWS has to offer. We help clients design, build, migrate, and manage both performance and cost in their AWS deployments to maximize productivity, reduce complexity and improve cost savings.